Hanoi (VNA) – A set of statistical indicators on sustainable development in Vietnam was announced at a conference in Hanoi on March 19. 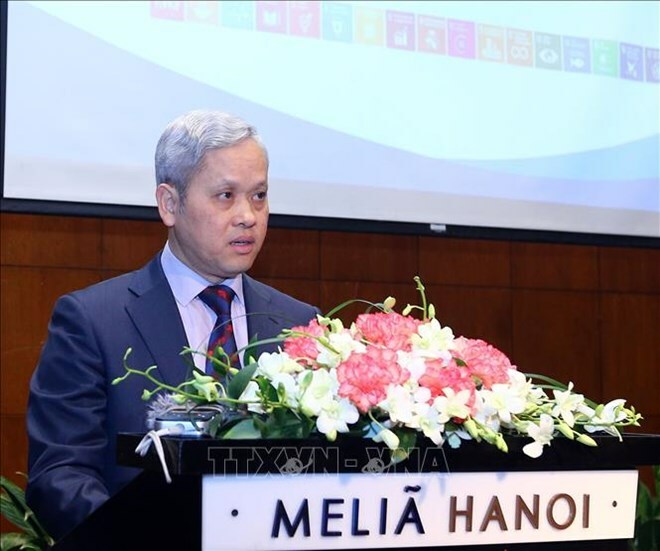 Speaking at the event, General Director of the General Statistics Office (GSO) Nguyen Bich Lam said that the core target of sustainable development is to leave no one behind. Therefore, it is important for all parties involved to have full understanding of the necessity of data and statistical work, as the high quality of statistics and the sufficient division of data will support development policies and make the decision-making more effective, Lam added. Deputy Minister of Planning and Investment Le Quang Manh stated that monitoring-supervision is an important content in the 2030 Agenda for Sustainable Development to provide authentic assessments on the implementation of sustainable development goals. Vietnam has gained remarkable progresses in carrying out its national action plan on the implementation of the 2030 Agenda for Sustainable Development. Michael Krakowski, Programme Director and Chief Technical Advisor of the GIZ’s Programme on Macroeconomic Reforms and Green Growth, said that the Ministry of Planning and Investment’s promulgation of a circular regulating the set of statistical indicators will help Vietnam reach a step closer to the definition of a mechanism supervising the implementation of sustainable development goals.